Healthy Davidson is a blog by Davidson's Healthy Living & Wellness Supervisor Leslie Willis. 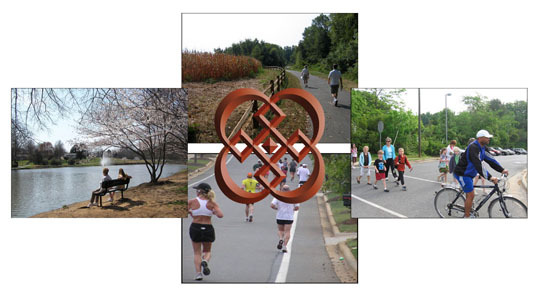 Its purpose is to inform residents about interesting opportunities for healthy living around Davidson and to encourage people to get up, get out and get involved! Community involvement is a way of life in Davidson. We have always been the kind of town where people help not just their friends, but their neighbors, too. In fact, we built an entire day around the concept: In 1971, Davidson Mayor Tom Sadler issued a proclamation designating May 8 through 15 of that year “Clean Up” week and May 15 as a culminating event: Town Day, the first on record.